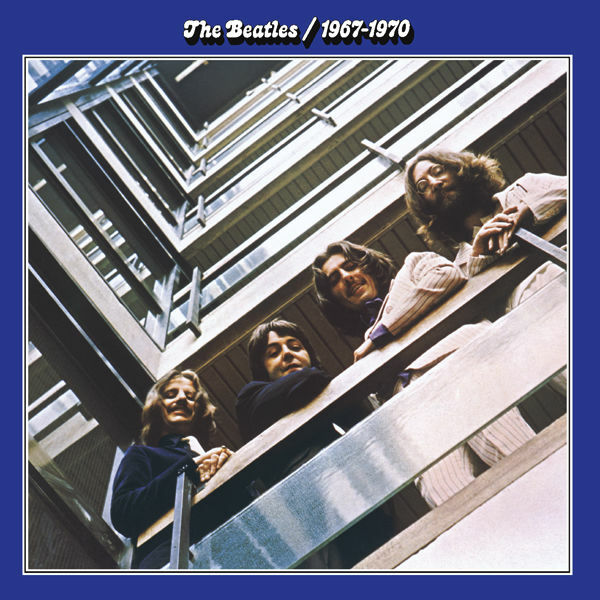 American Wolf: The Beatles: The Complete Discography. The Beatles are the greatest band in the world, in no small part because of both their quality & economy. They were a working band in their classic line-up for about a decade, during which they officially released a mere 217 songs across 13 studio albums (& two albums worth of orphan tracks). On one level, it's almost a silly exercise to review The Beatles' albums because they are so great; they pretty much could all get five stars with a straight face. It's a bit like reviewing Shakespeare's plays--sure, some are better than others, but even at its worst, it's still Shakespeare. I went by the classic UK discography because this is how they issued the music & how it has always appeared on CD. While some get misty-eyed over the US releases (& I get it, I hold a soft place in my heart for both Meet The Beatles! 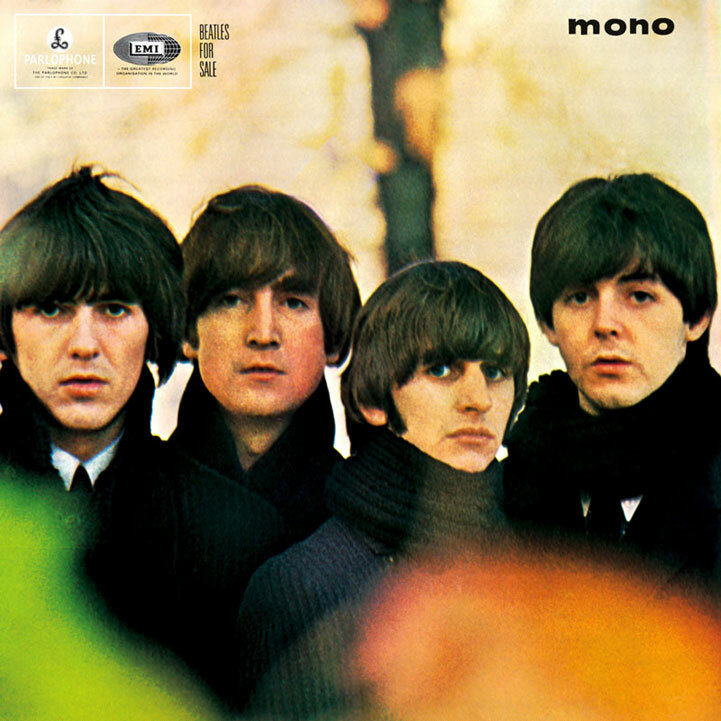 & the US version of Rubber Soul), they ultimately jumble a story that is most remarkable not just for its excellence, but its clarity. Besides, to truly understand The Beatles, we should be looking at their music the way that they did. I included a few classic collections, either because they were officially issued along with The Beatles catalog or have remained in print into the modern era, or both. I also did the Past Masters albums that rounded up the songs for the CD edition, & the 1 collection which has brought the group into the modern age. Officially-licensed but long out-of-print collections like Rock 'n' Roll Music & Love Songs were left off because they came after The Beatles ceased to be a group & add little to nothing to the greater story. Finally, I left off the BBC & Anthology sets, which I consider to be their own beasts. The rare sophomore album to build upon the foundation of its predecessor, deepening the sound while growing in style. With no singles culled from it (although the classic "All My Loving" could have been--& was in the US), this was their first album of all-new material (not to mention their first iconic album cover). 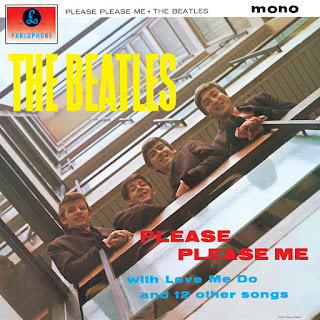 It used the template of Please Please Me--8 originals & 6 covers, a rocking original opener ("It Won't Be Long"), a barnstorming cover closer ("Money (That's What I Want")"), with lots of state-of-the-art music between. The originals became the backbone of the classic US edition, Meet The Beatles!, which put them on the international map, as upbeat tunes like "Little Child" & "I Wanna Be Your Man" kept the party going while "All I've Got To Do" & "Not A Second Time" hinted at the greater growth to come. Meanwhile, the covers paid homage to their R&B roots, from Chuck Berry ("Roll Over Beethoven") to Motown ("Please Mister Postman," "You've Really Got A Hold On Me"). It all sits together even more cohesively than its predecessor, which is perhaps why it spent the next 21 weeks at the top of the UK album charts. 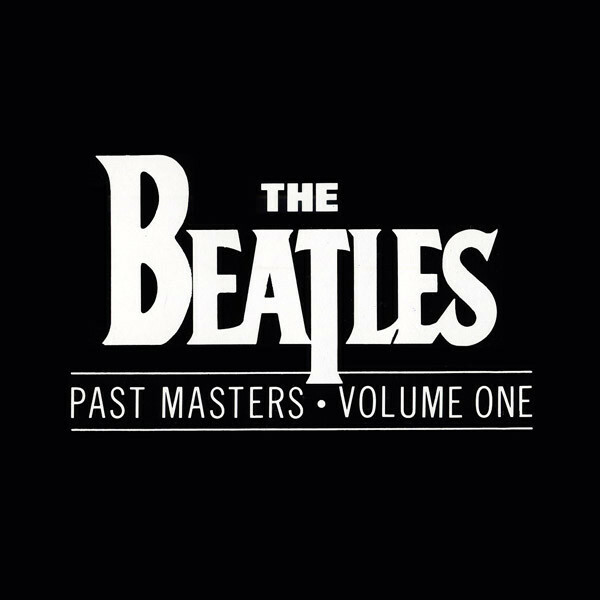 The vintage Beatles' masterpiece. 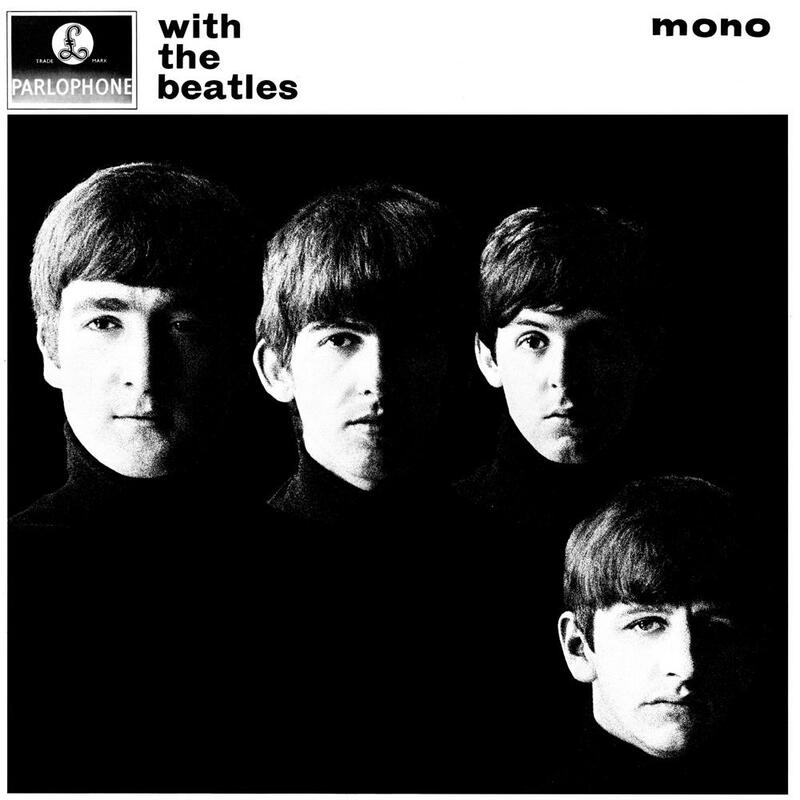 This is the finest straight-up rock album The Beatles would ever release, & not coincidentally was also their first album of all original material (& the only album to be comprised solely of Lennon-McCartney songs). Side 1 was the movie music, & it was flawless--the rocking title track, the reeling "I Should Have Known Better," the irresistible "Can't Buy Me Love," plus their first great ballad, "And I Love Her," & the finest (three-part) harmonies to date in "If I Fell." Even "I'm Happy To Dance With You" was as infectious musically as "Tell Me Why" was sonically. Side 2 found the group digging deeper into their musical ambition, from the storming "Any Time At All," the wistful "Things We Said Today" & the stirring "I'll Be Back." In short, Side 1 proved they had mastered the genre of rock, while Side 2 found them pioneering where to go next, leading the way on a mixture of raw talent & pure charisma. Beatlemania takes its toll. After conquering the worlds of music, television, & film, the group pulls back a bit in their fourth album. 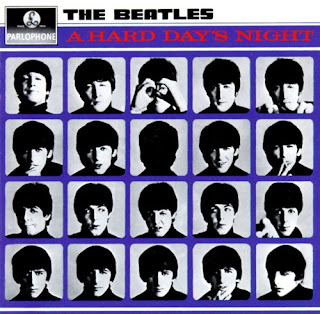 After the all-original breakthrough of A Hard Day's Night, Beatles For Sale feels like a bit of a retreat, returning to the 8 originals/6 covers template of their first two albums. But from the first doomed lines of "No Reply," The Beatles strike a more world-weary tone, with more acoustic guitars that speak of the contemporary influence of Dylan & predict the sound of Rubber Soul to come. It plays like the Beatlemania folk album, with standouts like the cynical "I'm A Loser" & the hopeful "I'll Follow The Sun." & yet, spliced in between is some of the hardest rock the group ever cut--their atomic take on "Rock & Roll Music" is the finest Chuck Berry cover ever cut, while McCartney matches (if not surpasses) his idol Little Richard's version of "Kansas City/Hey-Hey-Hey-Hey." & in the middle, they predict the folk-rock sound of The Byrds in "Every Little Thing" & master the balance between pop & rock with "Eight Days A Week." The latter was held back as a single in favor of the non-album "I Feel Fine," but it made easily #1 for two weeks in the US. In the UK, it just had to be content as the centerpiece of a masterful album. The first not universally-acknowledged masterpiece in The Beatles catalog. (That said, it would be virtually any other group's finest album.) 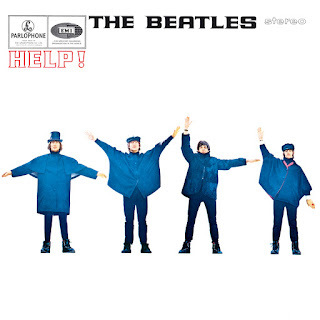 If Beatles For Sale found the weariness of the world affecting its sound, Help! found it affecting its vision. Like the film it provides the soundtrack to, Help! was a lesser effort that proved the group was quickly outgrowing its mop-top Beatlemania personas. It was also proof of a new influence on the group: Marijuana. Turned on to the drug by Dylan, The Beatles were partaking in its wonders regularly by the time this music was waxed. Classics still abound--the title track took the world-weary perspective of their recent work & married it to driving rock, while "Ticket To Ride" was a lovely piece of lop-sided pop that was their first major foray away from their previous more straightforward pop sound. 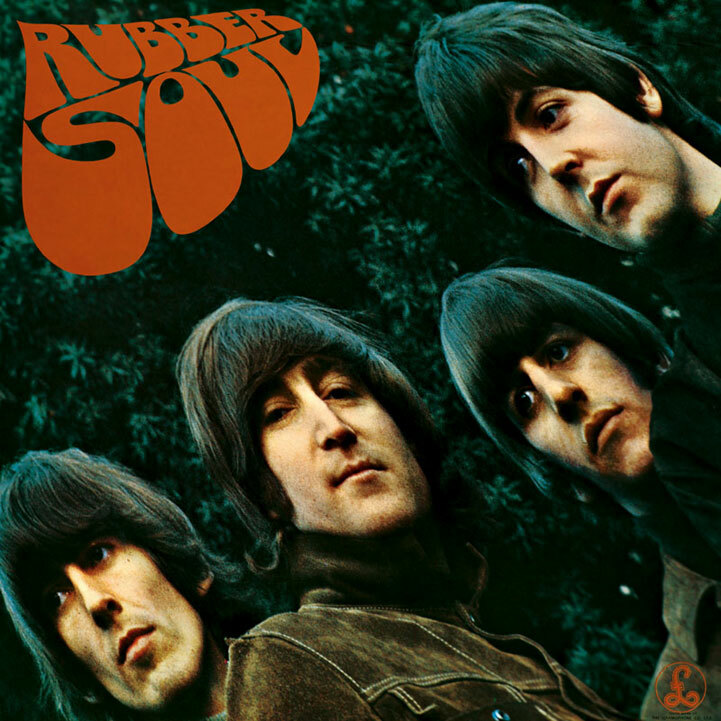 Other cuts like "It's Only Love" & "I've Just Seen A Face" so clearly indicated the acoustic-based direction they would take next, they effortlessly blended into the American version of Rubber Soul later in the year. & in yet another #1 US hit single that was never released as one in the UK, "Yesterday" would go onto become the most covered song in recorded sound. Other songs like "You Like Me Too Much" & "Tell Me What You See" found The Beatles treading water, keeping the album from being a masterpiece. But their next one would more than make up for that. The Beatles' first universal masterpiece. When released towards the end of 1965, Rubber Soul was better than any other album The Beatles had released--& with the possible exception of Dylan's Highway 61 Revisited, was the finest rock album up to that point, period. By this time, The Beatles had absorbed the lessons of Dylan (both lyrically & medicinally) & their other contemporaries to look into themselves for inspiration, & the results were stunning. 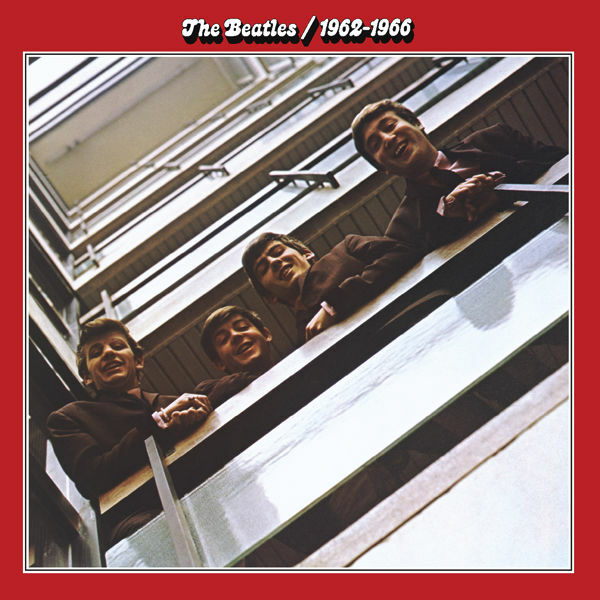 "Norwegian Wood (This Bird Has Flown)" found them working in new sounds with Harrison's use of a sitar, while "Nowhere Man" was Lennon's first masterpiece of social criticism. Meanwhile, McCartney honed his pop songcraft with "Michelle," which made it the third straight album to have a potential single that would reach #1 elsewhere (this time in a cover by The Overlanders in the UK). Flashes of humor like "Drive My Car" sat comfortably next to testimonials like "Girl," anthems like "The Word," & philosophical exercises like "If I Needed Someone." But it was Lennon's "In My Life," that took in the scope of the world--including love & loss, memory & regret, sadness & hope--& cemented The Beatles as the leaders of the young music. "A whole album of good stuff," Brian Wilson marveled upon hearing this LP. Then he went & made Pet Sounds. Their finest album--& as some like to tell it, rock's finest album, period. 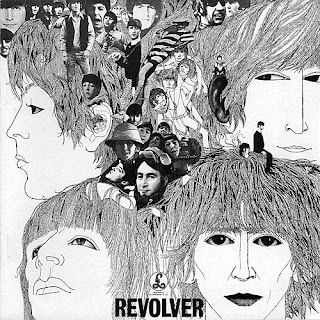 Revolver caught the group just as they each began to branch out into their own interests, but weren't so disparate that they couldn't come together as a great band. & so, Lennon discovered LSD ("She Said She Said," "Tomorrow Never Knows"), McCartney discovered classical music ("Eleanor Rigby," "For No One"), Harrison discovered Indian mysticism ("Love You To"), & Starr sang a children's song that went to #1 ("Yellow Submarine"). In other places, they supported each other with a sense of cohesion & purpose even further than their previous music--Harrison's caustic opener "Taxman," Lennon's deeply-felt "I'm Only Sleeping," McCartney's blue-eyed soul "Got To Get You Into My Life." But it was the epic closer, "Tomorrow Never Knows," that in using tape loops & early sampling, worked not just as the high-water mark for psychedelic music, but a prophecy of the next 50 years to come. The first collection. By the end of 1966, Revolver was six months old & The Beatles were nowhere near finishing a new album of material. 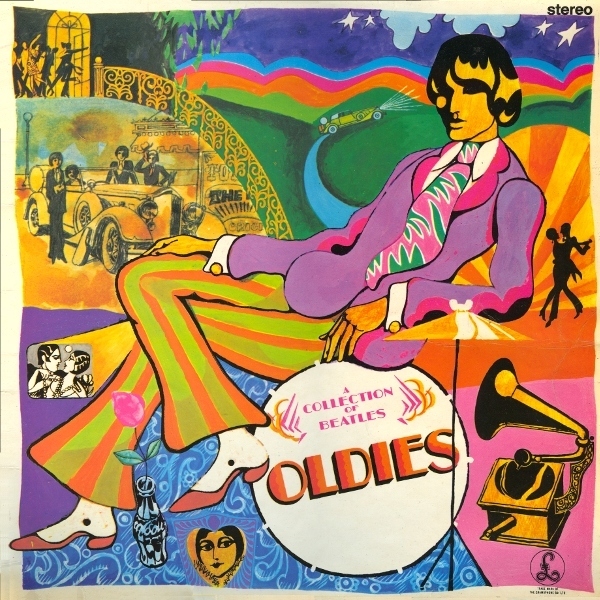 So their label concocted this, the awkwardly-titled, hideously-covered A Collection Of Beatles Oldies for the UK Christmas market, which collected many of their hit singles (many of which had never appeared on LP) & one song that had previously only appeared in the US-only Beatles VI (the fine but unremarkable R&B cover "Bad Boy"). While one cannot fault any of the material here, the whole album feels like a bit of a missed opportunity. 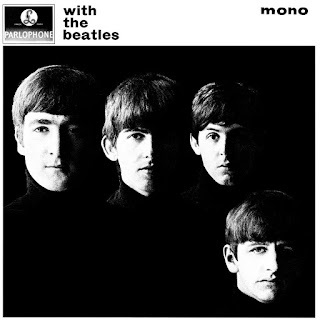 What could have been the definitive chronicle of The Beatles' first era was compromised by the exclusion of their earliest hits ("Love Me Do" & "Please Please Me," presumably because they had both already appeared on the Please Please Me LP) in favor of recent material like "Paperback Writer," "Eleanor Rigby," & "Yellow Submarine," all of which were less than six months old. Meanwhile, other album cuts that were never singles--"Michelle" & "Yesterday"--were included, further confusing the scope. In the end, only three of the 16 songs--"From Me To You," "She Loves You," & "I Want To Hold Your Hand"--came before 1964, while the running order at once scattershot & random whereas a strict chronological order would have worked better. It remained in print for decades, but was retired by the CD age to make way for the more logical (& successful) 1. The Citizen Kane of rock & roll--which is to say, if it isn't actually the greatest album of all-time, it's the default standard. Beatles writer/historian/philosopher Ian MacDonald put it best when he said that song-for-song, Revolver is their finest, but Sgt. Pepper beats it in spirit. In this way, the album works a bit like an illusion, seeming to hold together better than it actually does when held under harder scrutiny. This is because of its simple yet effective "concept" of The Beatles reborn as a new band--Sgt. Pepper's Lonely Hearts Club Band--& the album is a document of their concert. The fact that The Beatles had quit touring within a year of this project added extra heft to its execution, as did the prevalence of psychedelic drugs during its making & release. Here was real band that retreated to the studio to become a fantasy band giving the concert. Pretty heady, clever stuff. & the key points all hold together marvelously--the opening "Sgt. 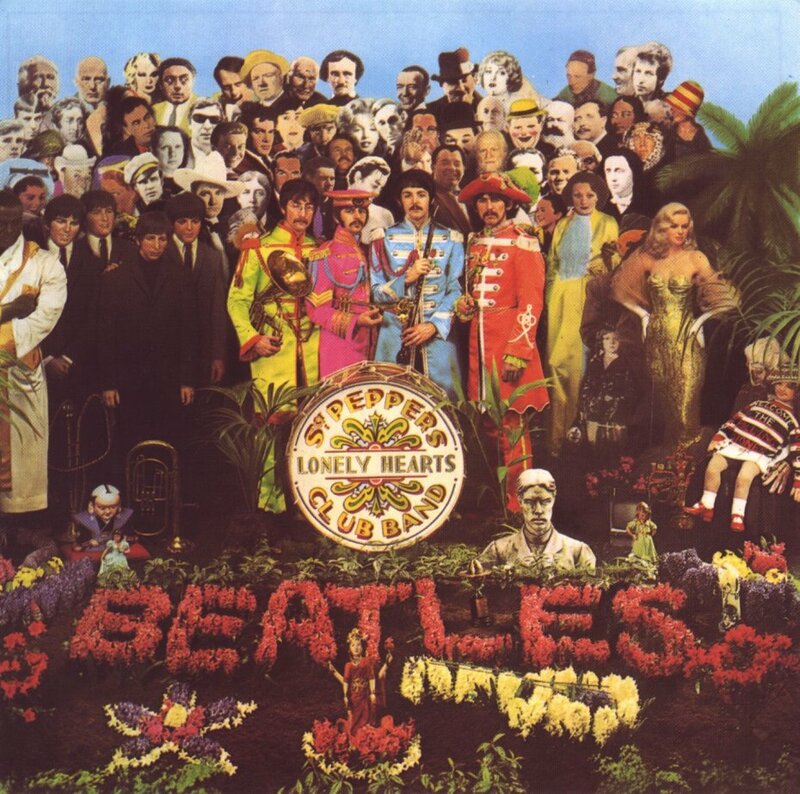 Pepper's Lonely Hearts Club" song, the segue into "With A Little Help From My Friends," which in tun gives way to "Lucy In The Sky With Diamonds"; the carnival centerpiece of "Being For The Benefit Of Mr. Kite!," which was the most evocative music they would ever record; the closing reprise of the "Sgt. Pepper" song collapsing into the finale to end all finales, "A Day In The Life" (which many hold as The Beatles' finest song, period. If songs like "Fixing A Hole" & "Lovely Rita" didn't exactly live up that promise, they didn't have to; there was enough quality in the over execution & programming to more than make up for it. Besides, Sgt. Pepper was a moment that was bigger than the mere album itself--it was a (counter-) cultural watershed that put The Beatles--& in turn, rock music--at the center of Western Civilization. Haters will hate (& they have for the last 25 years, as Sgt. Pepper's cultural stock has fallen somewhat in the rock canon), but this was the moment at which Pop became Art. The soundtrack to their first misstep. It would have been hard for anyone to not disappoint after Sgt. Pepper, & Magical Mystery Tour proved that The Beatles were mere mortals after all. After conquering the world of rock, they felt their way into film, self-producing a television movie loosely based around a cross between Ken Kesey's Merry Pranksters & the mystic tours of days of yore, or something like that. The resulting film was nearly unwatchable (although it did help to predict the road-trip genre), but the music, while far from their peak, was still quite good. Released as a double-EP in the UK, the album version in the US (where EPs were dying a commercial format) improved things by including both sides of their three classic 1967 singles, & by the CD age had become the "official" version. The six Magical Mystery Tour songs range from exciting rockers like the title track to lovely filler like the instrumental "Flying" to the tedious "Blue Jay Way," the first real clunker in The Beatles' catalog. The only masterpiece is Lennon's "I Am The Walrus," a fascinating slice of dark psychedelic rock that shows where the music could have kept going had Lennon & co. hadn't have been scared straight (in part, perhaps because of the fallout of this project). 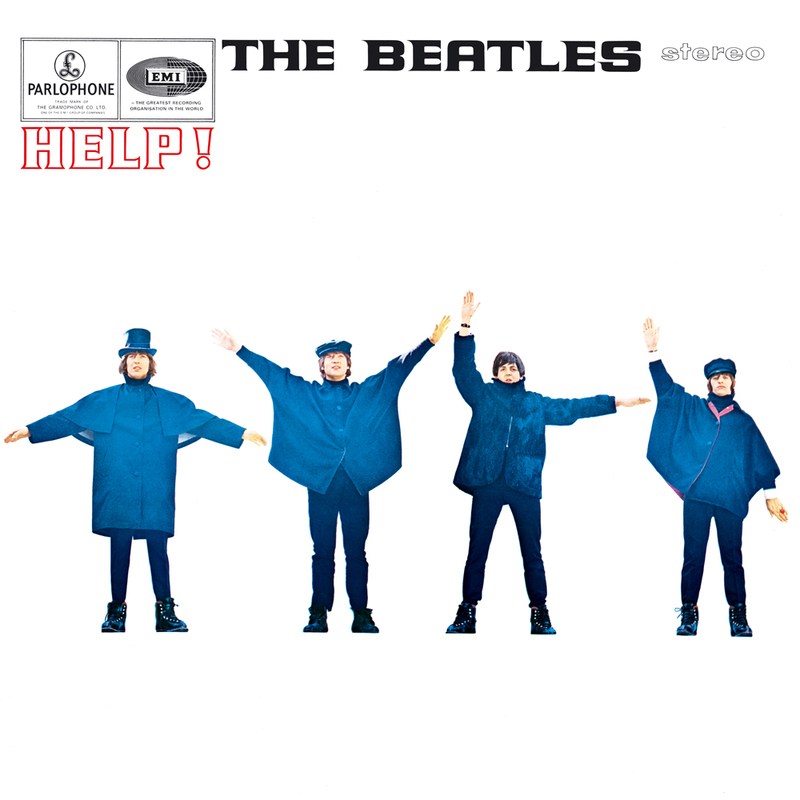 "Walrus" was first issued as the B-side of "Hello, Goodbye," so the remainder of the album trots out the singles that surround Sgt. Pepper. Of most note is the inclusion of "Strawberry Fields Forever" & "Penny Lane," which were cut during the Sgt. Pepper sessions but released as a single beforehand. That single was the greatest release of The Beatles' career & would have made Sgt. Pepper the masterpiece that to many modern listeners yields diminishing returns. But Sgt. Pepper's loss is Magical Mystery Tour's gain, as those songs--evocative studies of childhood through modern psychedelics--anchor the second side & help redeem the first. 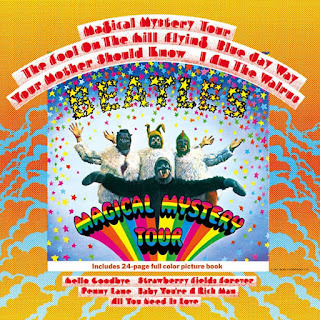 By the time "All You Need Is Love" closes out the proceedings, one can see how Magical Mystery Tour actually has become the rare classic rock album to improve its standing among modern listeners, looking for something deeper (& perhaps darker) than the standard mid-'60s psychedelic fare. In this regard, Magical Mystery Tour delivers. The sprawling masterpiece. 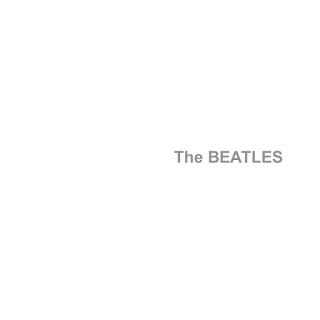 When The Beatles--soon nicknamed "The White Album" for its blank of a cover--was first released in 1968, it was hard to know what to make of it. It was a double-record set that sprawled the gamut of popular music from rock ("Back In The USSR") to blues ("Yer Blues") to country ("Don't Pass Me By") to folk ("Mother Nature's Son") to music concrete ("Revolution 9") to flirtatious with acid rock ("Glass Onion"), heavy metal ("Helter Skelter"), & even ska-based reggae ("Ob-La-Di, Ob-La-Da"). Producer George Martin is famous for saying that he wished they had released one completely excellent instead of two middling ones, but then it wouldn't be "The White Album," then would it? The genius of the album(s) is in its sprawl, as well as the way it hangs together, even in places where it shouldn't. The way the childhood sing-along "The Continuing Story Of Bungalow Bill" collapses so naturally into the stunning "While My Guitar Gently Weeps," or how "Helter Skelter" crashes into the elegant "Long, Long, Long" all speak to the slight-of-hand magic of great programming. For all of its variant peaks & valleys, "The White Album" is often described as a preview of The Beatles' solo careers, & while it has that--the blunt savageness of Lennon, the whimsical pop of McCartney, & the mystic virtuosity of Harrison--some of its finest moments come from a united front, a pop group still working all for one & one for all. Nowhere is this more apparent on Lennon's "Happiness Is A Warm Gun," a folksong-turned-rocker-turned-'50s pastiche. It almost serves like a mini-"White Album" unto itself, different pieces hung together by the sheer mastery of the music & talent of the musicians. Hindsight has shown it to be a rich playground of ideas, melody, & performance--as well as the beginning of the end as The Beatles as a working rock band. A rip-off. 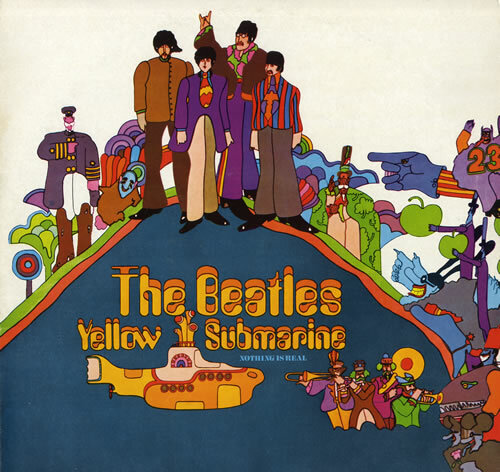 Despite the quality of the film, its accompanying soundtrack was a cheat, with only Side 1 consisting of Beatles music, while Side 2 had instrumental film music from The George Martin Orchestra. Thus, it's not really a Beatles album at all--more like half of one. 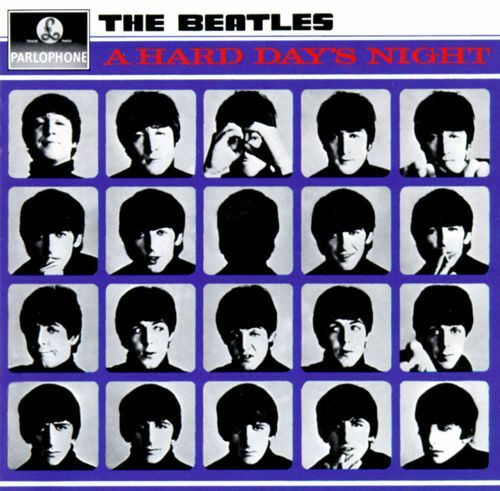 For the 6 Beatles songs that are on it, two of the songs ("Yellow Submarine" & "All You Need Is Love") had previously appeared elsewhere, leaving only four new songs to get on this LP: The charming children's song "All Together Now," the caustic Pepper-era outtake "Only A Northern Song," the driving "Hey Bulldog" & the near-unlistenable "It's All Too Much." Of the quartet, only "Hey Bulldog" is a stunner, it's heavy riffs & slicing guitars combining to deliver a delicious hook. Held back some six months from release as not to interfere with "The White Album," Yellow Submarine plays like the psychedelic leftover swap-sale that it is, & remains the only album in their catalog that cannot be considered essential. The official swan-song. After the "Get Back" sessions collapsed into a pile of tapes that nobody wanted to touch, The Beatles regrouped for one last masterpiece in their beloved Abbey Road studio. With George Martin back at the helm, the group sounded better than they ever had before--in terms of sheer sound, Abbey Road is their masterpiece. It didn't hurt that they were still able to deliver a handful of classics despite deepening conflict amongst the band members: Lennon's anthemic "Come Together," Harrison's beautiful "Something" (the second-most covered song in recorded sound, after McCartney's "Yesterday") & surprisingly optimistic "Here Comes The Sun," & of course, McCartney's suite of songs on the second side. Even Starr delivered "Octopus's Garden," the finest song he would ever pen while a Beatle. The power of these songs coupled with the sweeping second side helped to overshadow the filler that cropped up elsewhere. The second side suite is truly what makes the album, with the medley of the gorgeous "Golden Slumbers," the storming "Carry That Weight," & the bittersweet "The End," before the surprise finale of "Her Majesty." 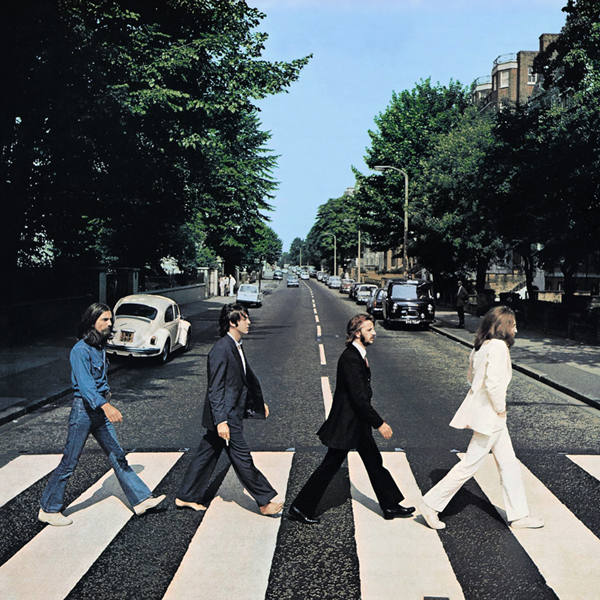 No band has ever recorded a finer farewell, & Abbey Road found The Beatles going out on top. Even if they would still technically exist as a group for another six months after this release, for all intents & purposes, this was their finale. The encore. When Paul McCartney announced The Beatles no longer existed in April 1970, at least one album's worth of songs were sitting around from the aborted "Get Back" sessions of early 1969. Originally intended to be a return to live performing that was to be filmed from rehearsals through final concert, it soon devolved into a movie about a band breaking up. 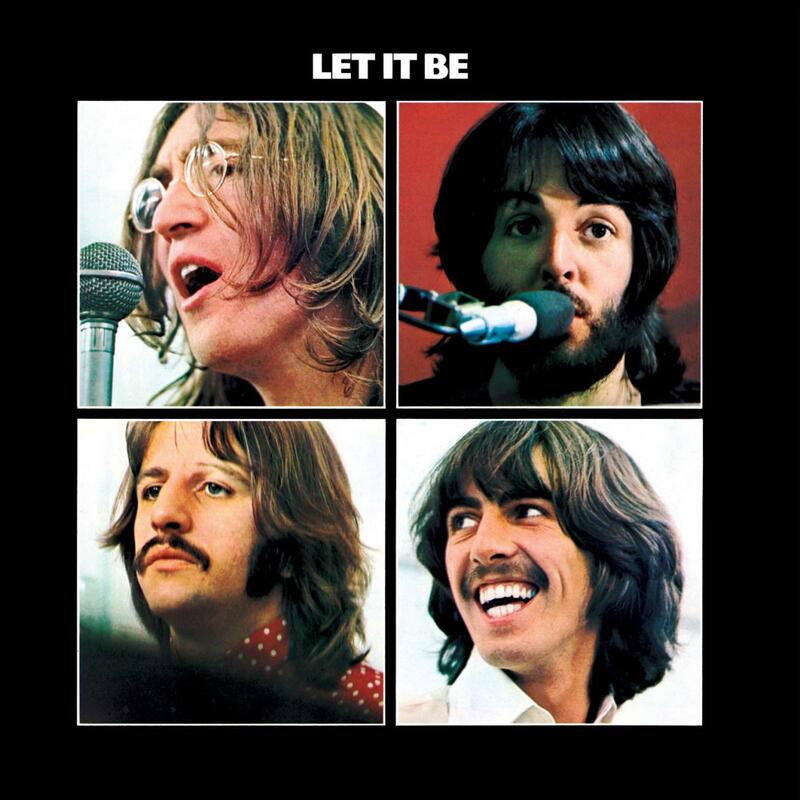 Aside from the "Get Back" single in 1969 & the "Let It Be" single in 1970, no music from the sessions were released, & as a film was being cobbled together, an accompanying album was needed. After George Martin had long since thrown his hands up at the project, the box of tapes were given to Phil Spector (over McCartney's loud objections). Spector went to work sweetening up the the tapes in a style that has been criticized for ruining the back-to-basics simplicity of the mission, but in reality was just as much to mask the many mistakes made in the recordings. But in the end, The Beatles are The Beatles, & Let It Be proved that, even when squabbling & splintering, they still made wonderful music. 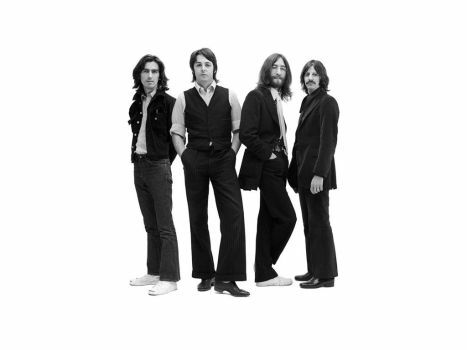 The album versions of the title track, "Get Back," & "Across The Universe" were the classics, while "The Long & Winding Road" proved that The Beatles could still do schmaltz & wind up with a #1 hit (in the US, anyway). More interesting however, are rockers like McCartney's acoustic reverie "Two Of Us," Lennon's storming "Dig A Pony," & the split "I've Got A Feeling," perhaps the last 50/50 effort of the Lennon/McCartney catalog. There were also goofs & jokes like Lennon's free-associative "Dig It" or the snippet of the Liverpudlian whore "Maggie Mae" (the last cover The Beatles released), which were included to try to capture the freewheeling nature of the sessions. More on point was their version of their oft-tried but never completed "One After 909," an early Lennon/McCartney song that gets remade into a hurricane of rockabilly. It is in this music that the band truly returns to their roots & reclaim the music. Also included is Harrison's "I Me Mine," which, perhaps appropriately, given its one-for-me outlook, was the last Beatles song ever cut. For the next decade, fans would hold out hopes for a reunion, but Let It Be was the last new music they ever officially released as a band. The Canon, Part 1. 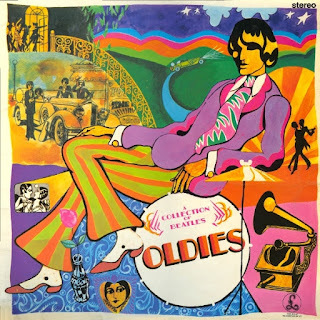 Three years after The Beatles disbanded & no hits collection in sight, bootleggers emerged with the Alpha Omega collection, which collected 60 Beatles hits (& a few solo numbers), arranged them alphabetically (mostly), & spread them over four LPs. The Beatles responded with 1962-1966 & its sister companion, 1967-1970, affectionately known as "The Red Album" & "The Blue Album" in response, markedly advertising them as the only authorized Beatles collection. They were also the first time that every UK A-side was compiled in a single place. "The Red Album" contained 26 songs over five years, from their very first single, "Love Me Do," through "Eleanor Rigby" & "Yellow Submarine," from Revolver. Overall, the album does its work very well. You can't argue with the song selection here, it's just too bad that they didn't fit more in. With a running time of a little over an hour, it could fit on a single CD, but modern packages keep it at two discs to match its parent LP set. Also, the breakdown of the albums can feel a bit off. For instance, no album is represented by more than three or four songs until Rubber Soul features a whopping six. This is all the more bizarre since the following Revolver (generally considered its superior) only has two songs, although this might speak more to how the albums have shaped up to modern listeners as opposed to people in 1973. The brilliance of the album is though that you would never notice this until you sit & break it all down (you're welcome) because they move at a perfect clip through time. & because "The Red Album" covered the earlier time period (i.e., the Beatlemania singles), it was seen as the more important set, & by the early '90s, had become something of a minor classic in the lists of essential music albums. The Canon, Part 2. The companion piece to "The Red Album," featuring 28 songs over four years. One would think that with this album covering the smaller set of time with songs that overall ran greater lengths it would have less music than its twin, but not so. Perhaps this is nod given to The Beatles late "great period" that had the "serious" music, & it's true that the first disc of the set ("Sgt. Pepper's Lonely Hearts Club Band" through "Revolution") is a pretty flawless document of music, & the best single disc of the set. But songs like "The Fool On The Hill" & "Old Brown Shoe" come off as needless filler, especially compared to the economy of "The Red Album." But that said, "The Blue Album" strikes a better balance (mostly), with four songs apiece from Sgt. Pepper & Abbey Road, & three apiece from "The White Album" & Let It Be. & once again, the pacing masks any inconsistencies, as the album moves at a clip that still feels like it hits all the essentials. & therein is perhaps the most telling part of The Beatles--whereas most bands can fit all of their essential music into one LP's worth of song or less, this & "The Red Album" prove The Beatles need at least 50. The collection-completer, volume one. When The Beatles catalog was finally issued on CD in the late '80s, the group had a dilemma: Of their 217 official songs, 32 of them were never issued on a regular UK studio album. This meant they could go one of two ways: They could add bonus tracks to the albums where need be, or they could collect all of the orphan songs onto a two-disc set. Past Masters was their way of doing the latter. In hindsight, it was the right decision, as their albums were masterpieces that would have been bogged down by extra music, diluting their original punch. Plus, although these were orphan songs, they in no way corresponded with mere leftovers. In fact, some of their biggest hits, including "She Loves You," "I Want To Hold Your Hand," & "Hey Jude" were never issued on a studio album. Past Masters Volume One covers the earlier period from 1962 through 1965, getting all of their non-LP A-sides ("From Me To You," "She Loves You," "I Want To Hold Your Hand," "I Feel Fine"), their wonderful UK flips ("Thank You Girl," "I'll Get You," "This Boy," "She's A Woman"), & all four tracks of the non-album Long Tall Sally EP. The only real losers in the set are the tedious German remakes of "I Want To Hold Your Hand" & "She Loves You," included for completists only. But as an 18-song collection, it is nearly good enough to feel like a greatest hits, leaving you wanting more with the excellent & innovative Help! B-sides "Yes It Is" & "I'm Down." Luckily, there was more to be found. The collection-completer, volume two. The sister companion to Past Masters Volume One, this album collected the remaining 15 songs never issued on an original UK studio LP. Again, you get many big A-sides (the double A-sided "Day Tripper" & "We Can Work It Out," "Paperback Writer," "Lady Madonna," "Hey Jude," "Get Back") & their fine slips ("Rain," "The Inner Light," "Revolution," "Don't Let Me Down"), as well as some miscellany such as the "wildlife" version of "Across The Universe" that was originally issued on a benefit LP No One's Gonna Change Our World. It's also the only place to get their final UK B-side, the long, winding, & bizarre "You Know My Name (Look Up The Number)," a four-&-a-half minute goof that the group worked on literally for years. The fact that, if you play their catalog, followed by the Past Masters albums, this is the final song you hear, reminds you that it wasn't necessarily their musicianship that got them signed by George Martin on that fateful day in 1962--it was their humor. The summary. 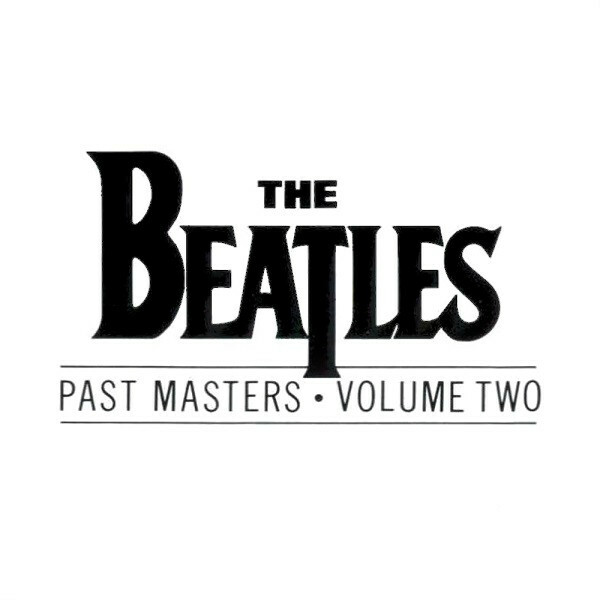 Just when you thought The Beatles had finished leading the way for the last 30 years, they issued this, a one-disc collection purporting to be all of their UK & US #1 singles. Whether you were a lifetime fan buying the music again (in newly remastered sound) or hearing it for the first time, it clicked, & became the best-selling album of the first decade of the new millennium. Other artists like Elvis Presley & Michael Jackson began following suit to issue their albums of only #1 hits, followed by many lesser ones just trying to make their own definitive 80-minute playlist. As it turns out, according to this album, of the 26 Beatles songs originally issued as UK A-sides, all but two of them hit #1 in the UK &/or US with the exception of two--"Please Please Me," which actually did hit #1 on both the New Music Express & Melody Maker charts (but only hit #2 on the Record Retailer chart that evolved into the official UK one) & "Strawberry Fields Forever," which was issued as a double A-side with "Penny Lane," which did hit #1. This is because for a stretch of time in the 1960s, it was possible for two different sides of a single to reach different chart rankings in the US. In the UK, however, this was not the case. 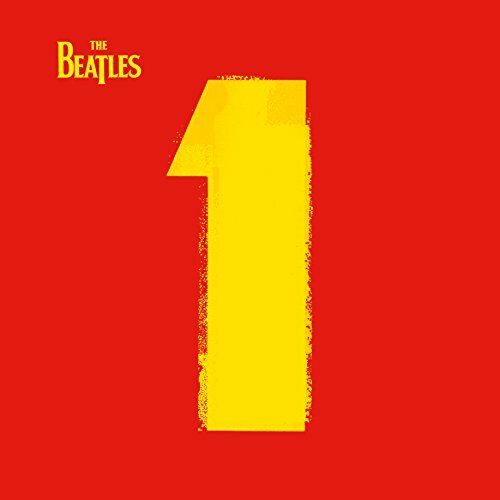 Hence, when double A-sides like "Day Tripper"/"We Can Work It Out" & "Yellow Submarine"/"Eleanor Rigby" hit #1 in the UK, they are counted as four #1s, as opposed to two. Thus, the "Strawberry Fields Forever"/"Penny Lane" single stalled at #2 in the UK, while the songs hit #8 & #1, respectively, in the US, resulting in only one #1 song. OK, fine. But then the set plays favorites with the "Come Together"/"Something" double A-side, which DID NOT hit #1 in the UK (fun fact: The last Beatles UK #1 was "The Ballad Of John & Yoko"), but did hit #1 & #4, respectively, in the US. Going by the rest of the album, then, "Something" should not be included on this album. But it is, presumably because George Harrison should be represented & it's the second-most covered song in the history of recorded sound. All of which is to say that I consider this album purporting to be 27 #1 songs in fact 26 #1 songs & "Something," if we're being technical. Of the three songs that were never issued as singles in the UK but hit #1 in the US, two are essential ("Yesterday" & "Eight Days A Week") & one is pure sentimental dreck ("The Long & Winding Road"). It is likely my bitterness for the latter that makes me wish they'd cut it from this album in favor of "Strawberry Fields Forever," which is otherwise unavailable unless you get the Magical Mystery Tour album. Yes, you miss the lovely #1 US A-side "Eight Days A Week," but literally nothing else essential. Plus, The Beatles always hated "Eight Days A Week." That's why "I Feel Fine" was issued as a single in the first place. That & the opening feedback sound.